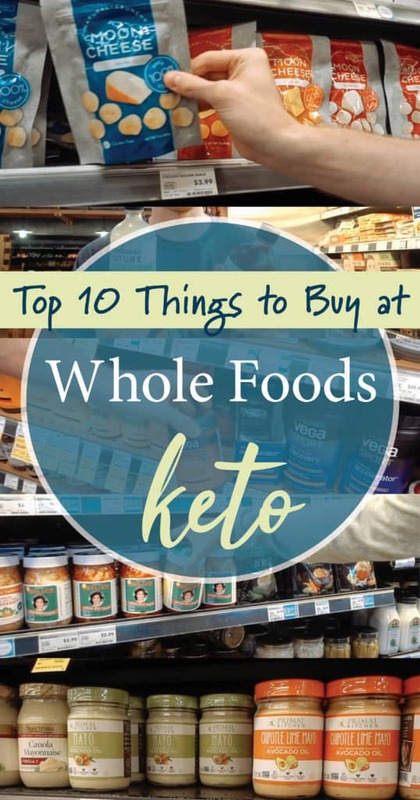 Whole Foods Market has declared themselves America’s Healthiest Grocery store, which may be true, but you can easily achieve a healthy keto diet by shopping at any regular grocery store. 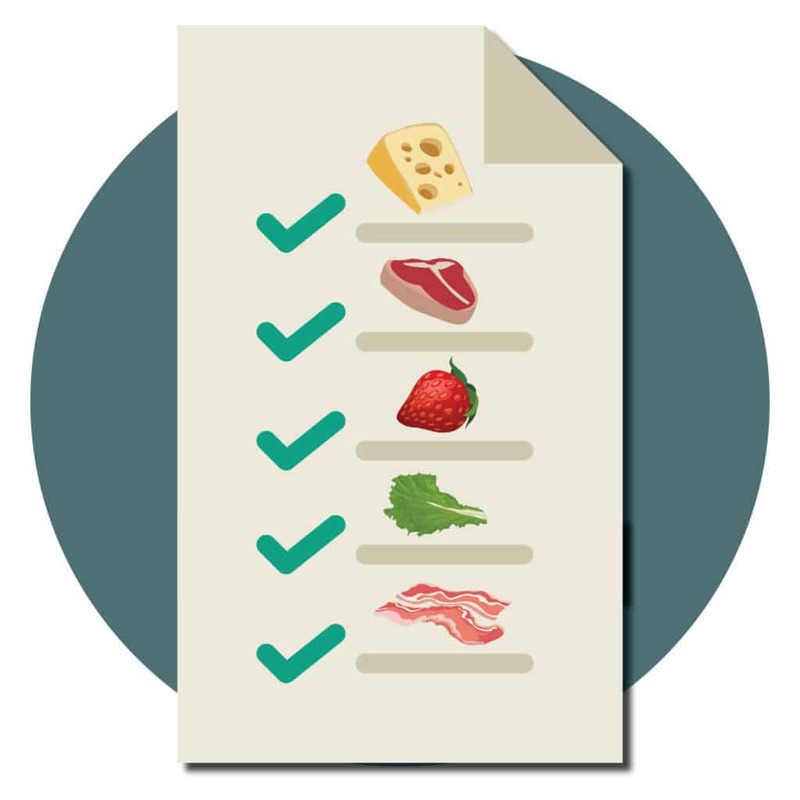 As long as you use a simple keto grocery shopping list like ours, you can feel good about what you’re putting in your shopping cart. We go to Whole Foods for products that we just can’t find anywhere else. If you’re looking for a specialty item, they probably have it on their shelves. 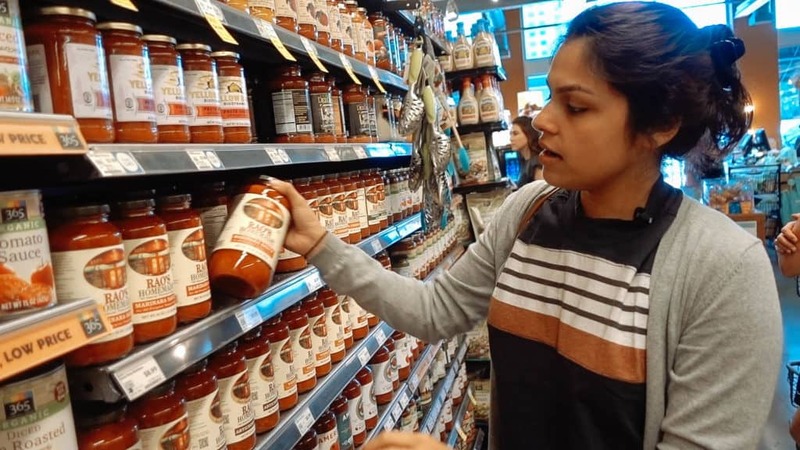 Some of these products are on the pricey side, but if you feel like splurging on some high quality ingredients, then Whole Foods is a good place to do it. 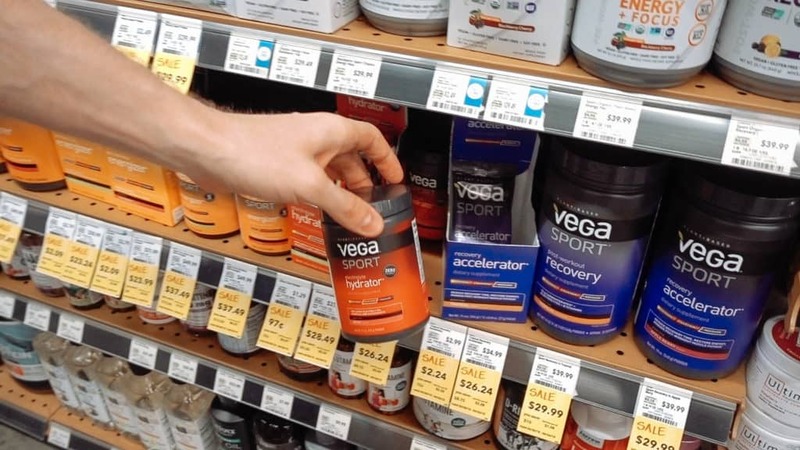 We’re going to let you in on our Top 10 Favorite Whole Foods Buys and we’re going to make sure you don’t get tricked by marketing claims. 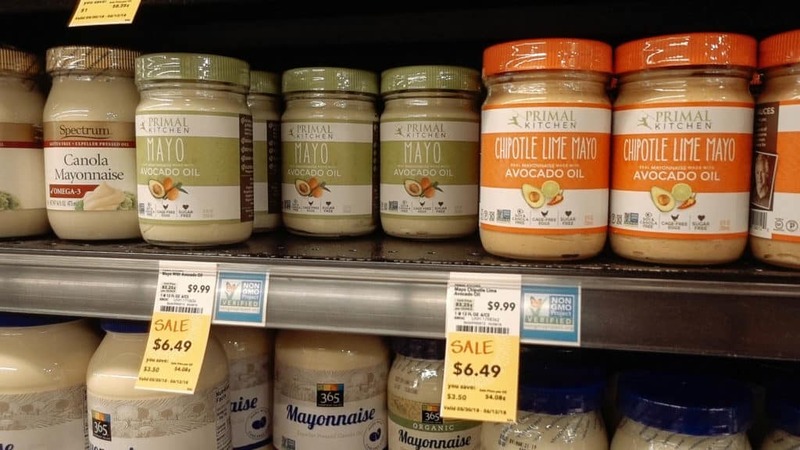 Always read the label and read further for a list of which products to avoid at Whole Foods. Pick up a mixed bag of frozen bones. They’re grass-fed and are perfect for bone broth. Try our Instant Pot Bone Broth recipe! 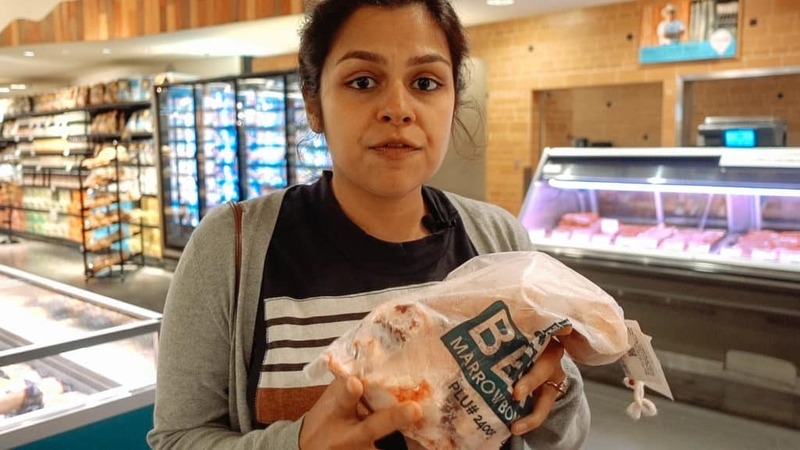 If you’re willing to pay for some really good seafood, come to Whole Foods. We love the Atlantic Salmon Fillets with skin on. The cost is worth those extra omega 3s. 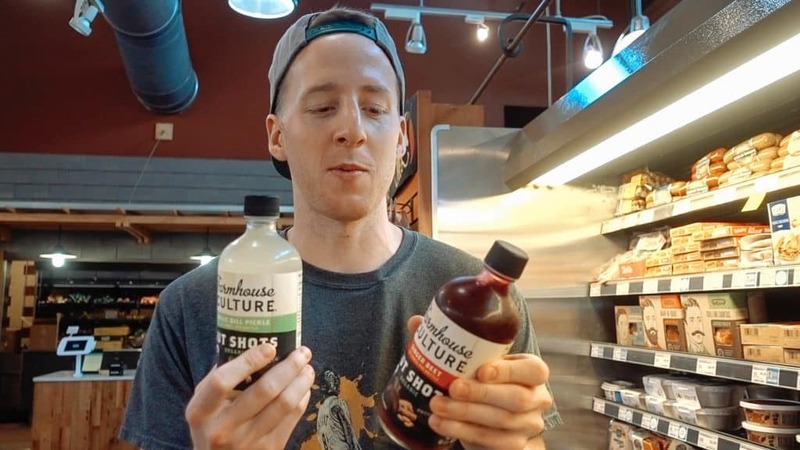 Kombucha may be super popular in the health and wellness world, but we prefer a gut probiotic with less sugar. Each shot contains 100 billion probiotics and 1g of carbs, so you can have a few shots per day. These low carb noodles are on the crunchier side, making them a great option for a cold, Asian-style salad. With only two grams of net carbs per serving, you can enjoy noodles again. We like to have a little bit of kimchi every day and this is our all-time favorite brand for its crunch and flavor. 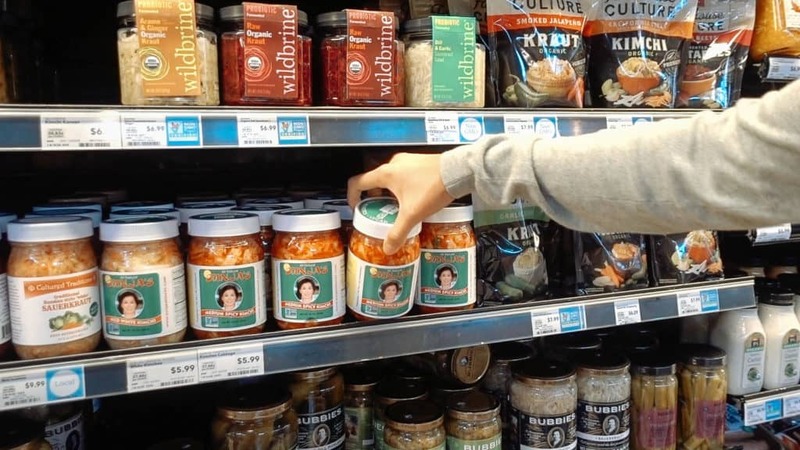 Check out some of the health benefits of consuming fermented foods. If you don’t eat a lot of veggies, getting in some organ meats like organic chicken livers is a great way to supplement Vitamin A and other nutrients. This brand contains 800 per cent of your daily Vitamin A intake! Primal Kitchen doesn’t use harmful vegetable oils to make their products which can be extremely hard to find. Megha’s favorite is the Chipotle Lime Mayo and she makes egg salad with is almost every day. Whole Foods has a great selection of keto crackers. 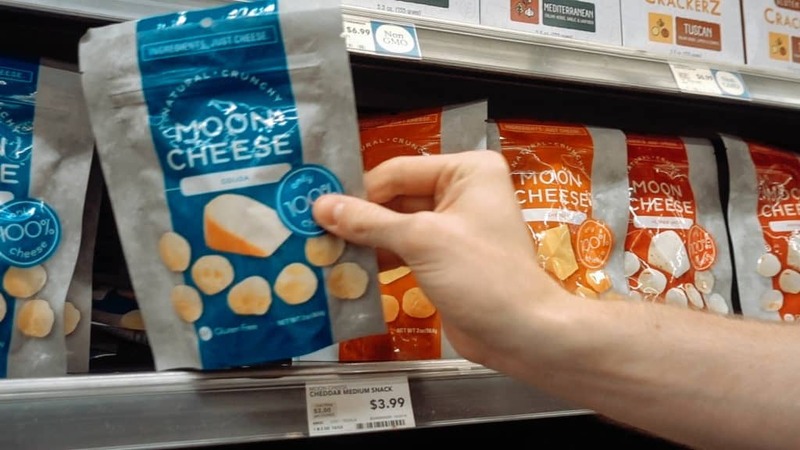 Moon Cheese and Parm Crisps are made with just cheese and they also carry Flackers. We have our own Flax Cracker and Parmesan Crisp recipes that we like to make at home. Victoria Vegan is a great low carb marina sauce and perfect for people who are dairy-free. We like to use Rao’s Sauces in a lot of our pizza recipes because it has the lowest carb count. Whole Foods has the widest selection of Zevia sodas we’ve ever seen. Zevia is a zero calorie soda that doesn’t use any artificial colors and is sweetened with Stevia. Our favorite flavor is Strawberry! Try one of our cocktail recipes using their products or buy the Cola flavored Zevia to make our Homemade Beef Jerky. These items didn't make our Top 10 Whole Foods List, but we still recommend them and we know you will enjoy them too! 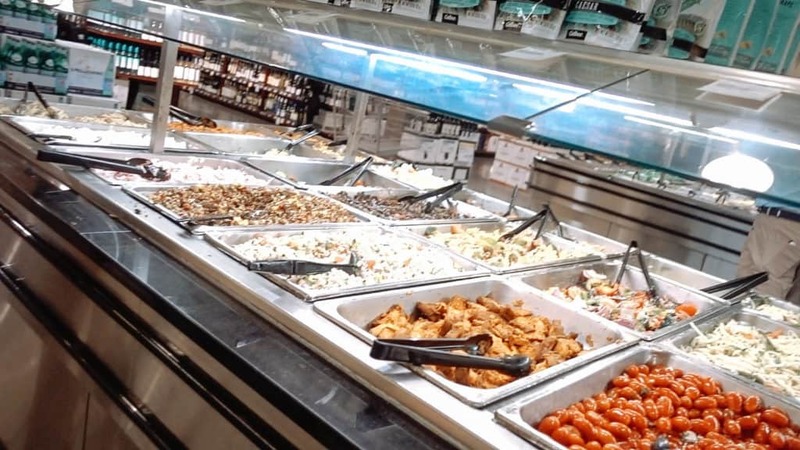 Who doesn't love the Whole Foods' Hot Bar? The Hot Bar at Whole Foods is such a good option for keto lunch on-the-go. The food is good quality and all the ingredients are listed on the label so there’s no guess work involved. We always get asked how we get in our daily electrolytes and this is how! We just add it to some cold water for a zero carb dose of magnesium and potassium. Whole Foods doesn't bless every region with a smoked meat counter, so check online before going! You can find some really unique cuts of meat here, and the butchers are known for being very helpful when you're choosing which meat to buy and how to cook it. You guys know we love our bullet proof coffee, and finding a delicious coffee can take our morning cup to the next level. 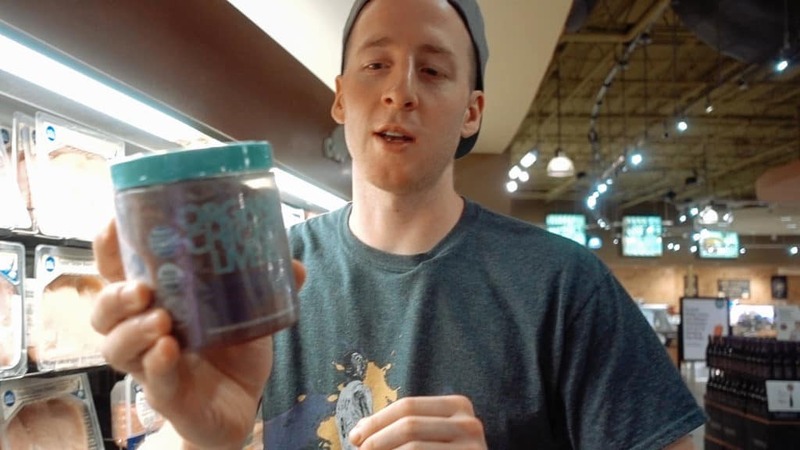 We definitely recommend checking out the coffee section at Whole Foods. We like to get raw cheese when we can for its deeper flavor, its higher nutrition content and because it's easier to digest. 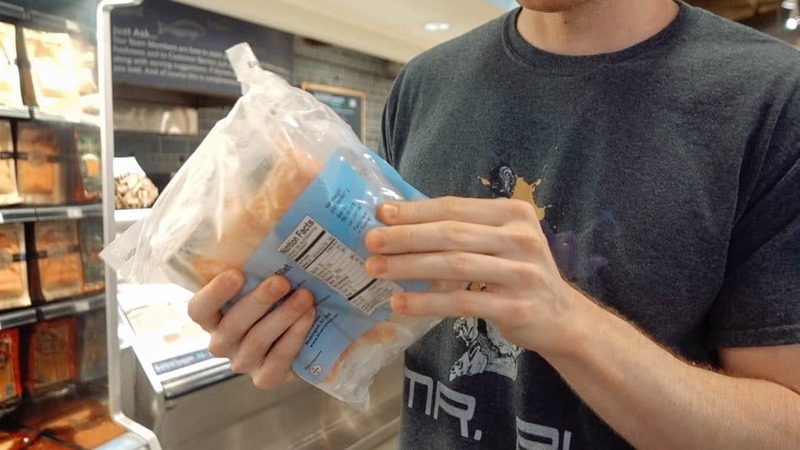 You don't need to spend 12 dollars on a tiny loaf of frozen bread. Yes, it may be keto-friendly, but not wallet-friendly at all. We have a bunch of bread recipes you can make at home for much cheaper. Just because it says "bulletproof" doesn't mean it's keto and healthy. Read the labels on these bars and coffee drinks to know what's really inside of them. These products aren't made from the best ingredients and are are high in carbs. These may be considered low-carb candies, but it's only because they are jam packed with a ton of different fibers and weird ingredients. We would never buy these. It doesn't makes sense for us to pay a huge premium on such a processed product. Just drink bone broth and get your protein from food. 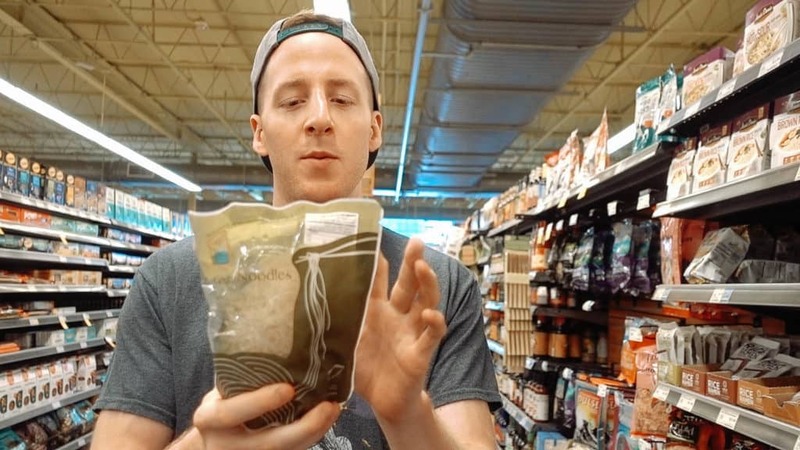 Let us know what your favorite Whole Foods items are in the comments section! Where should we do our next grocery haul? We are looking for suggestions!